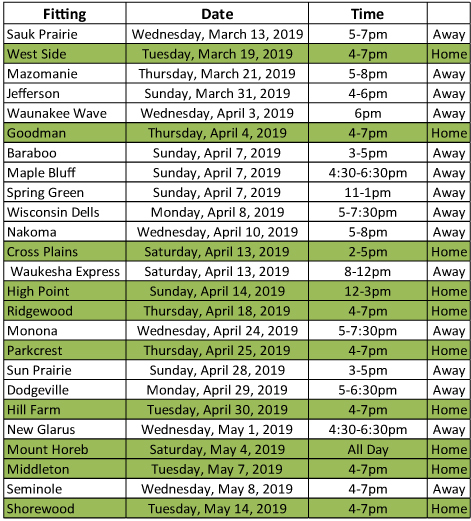 Here you will find the 2019 Simply Swimming fitting schedule. Dates in green are fittings occurring at Simply Swimming. fitting is going on. We will still happily fit you, it will just take longer as we are configured to assist a different team.